Coincidentally I was also at the Moodle Moot conference in the Philippines last week, and had reason to pass my contact details on a few times. I can use iOS of my iPhone to send my contact details (.vcf) to other iPhone users easily using AirDrop, but what about people without this facility? Maybe a QR code could be the answer? 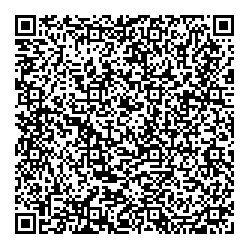 I used the bvcard site to create the QR code you see here. Each of these free sites is slightly different, and some have more data fields available than others, or advanced features such as colours, so it would be a good idea to look at a few different sites before you settle on which you will use. So next time I give a presentation, I’m going to put a big QR code as the final slide, and people can use their smartphones to get my contact details. Let’s see how that works? And I wonder how many people will get my contact details from here now?